I’m a fan of Unilever as well so I think this is an excellent buy. I’m a but hesitant at adding because of the share price but maybe you just convinced me to check it again for my (late) August buy. I can understand you, I normally have a preference to buy stocks when they are moving around a 52 weeks low. Unilever is more close to the 52 weeks high. I have Unilever on my watchlist for some time. I was planning to buy more shares if the share price would be more close to the 52 weeks low. The share price is last few months moving in a small range and I decided this month to add more Unilever to my portfolio. Stock price can go down slightly, but it not feels to me like it will influence my long term returns big time. My decision to buy Unilever is also heavily influenced by me planning only eurozone with a preference for stocks with a defensive profile. I’m overweight in USD and underweighted in consumer goods/food shares. So the few months I will probably add more consumer defensive, non cyclical stocks to my portfolio. 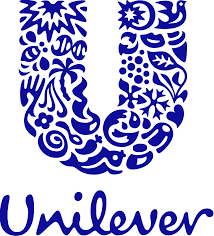 Unilever I consider one of the best picks at the moment from the consumer defensive companies on my watchlist currently so I decided to not bet on a lower share price, but to buy them now.